Standard product under Japan Water Works Association (JWWA K 116). LP is widely used as industrial and household water supply piping material, solving red water (rusty water) and white water (aerated water) problems. 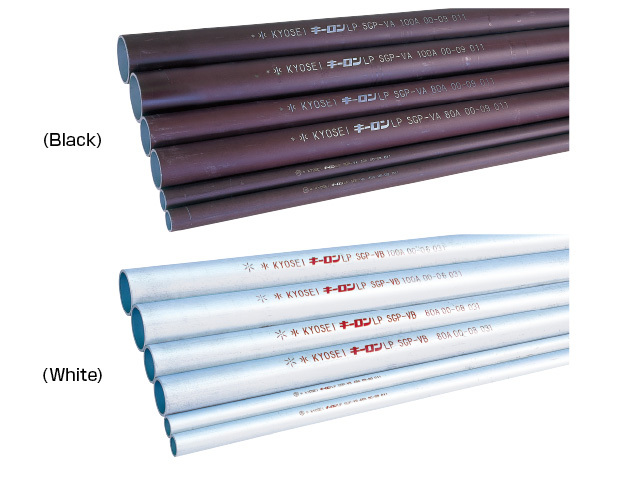 Both SGP-VA (JIS G 3452 steel pipe with its inner surface coated with hard PVC) and SGP-VB (JIS G 3442 steel pipe with its inner surface coated with hard PVC) are water supply piping standard products under Japan Water Works Association (JWWA K 116).